Colombo, March 28 (newsin.asia) – China’s ‘Belt and Road’ initiative has provided a great opportunity for Sri Lanka to strengthen its national economy, Sri Lanka’s Secretary General of National Economic Council (NEC) and Chief Economist, Prof. Lalith Samarakoon said Wednesday. According to talks held between Samarakoon and China’s Ambassador to Sri Lanka, Cheng Xueyuan, Samarakoon said the National Economic Council attaches great importance on Sri Lanka-China economic cooperation as well as the good suggestions proposed by the Chinese side. “The National Economic Council will accordingly coordinate all related departments to speed up the implementations of the joint projects and deepen the friendship of the two countries,” Samarakoon, quoted in a statement from the Chinese Embassy in Sri Lanka said. During discussions, Ambassador Cheng said China attaches great importance to the bilateral relations, and is willing to implement the important consensus of the two leaders and actively push forward the practical cooperation under the framework of the “Belt and Road” Initiative. “On current stage, both sides are going to receive the early harvest of the cooperation, which will bring more and more tangible benefits to both peoples,” Cheng said. He added China never interfered in the internal affairs of Sri Lanka and never attached additional conditions to its assistance to Sri Lanka. 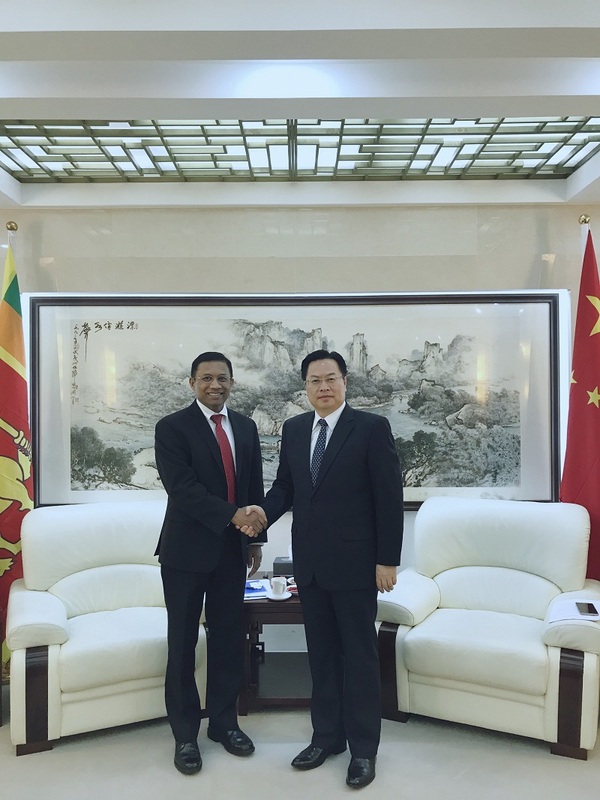 While pursuing building a new type of international relations featuring mutual respect, fairness and justice, win-win cooperation, China is actively working together with Sri Lanka to promote the later’s economic and social development and bring benefit to the two peoples, Cheng added. The Ambassador further briefed Samarakoon on the ongoing cooperation status and the bright prospects of joint mega-projects in Sri Lanka, and urged the National Economic Council to jointly work together with China to promote the cooperation.